Traditionally, the natural gas market in Europe was served by Russia, while Asia got most of its natural gas from the Middle East. That is why prices of natural gas in Asia were much higher than anywhere else in the world (between $11 to $12 /m BTU). However, things are changing rapidly and the total supply chain on a global level for natural gas is realigning in front of our eyes right now. Let us start with some very obvious developments and then connect the dots with other developments that are less so. Then let’s circle back and look at the supply chain implications of these developments on the downstream petro-chemical businesses. Firstly, the sanctions against Russia are changing the landscape of natural gas supply in Europe. One of the side effects of these sanctions is that Europe will be granted its wish not to be dependent on Russia. Secondly, a development which is equally well known is the abundance of natural gas in North America, especially in the United States. Fracking and shale gas have created a boom in USA where the prices of gas plummeted a few years ago to nearly 30%-40% of prices elsewhere, and have stayed depressed since. Not too long ago, despite pleas from US manufacturers who use natural gas as the feedstock, the USA has granted permission to export natural gas. 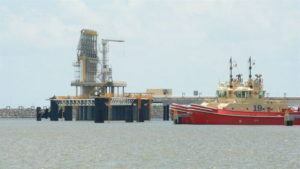 The first terminal in the USA is nearing completion at a place called Sabine Pass. Thus, they will start exporting by the end of 2015. It will be exporting a very large amount of natural gas to wherever the demand is. And guess where the demand will be? It will be in Europe, because they want to stop buying from Russia (for the simple reasons listed above). “We’re going to represent 25 percent of the gas sold to Spain. We’re going to feed enough gas to England to heat 1.8 million homes.” Says Souky, CEO of Cheniere Energy Inc and Sabine Pass Liquefaction. Hence, Russia is starting to find a permanent market in China. 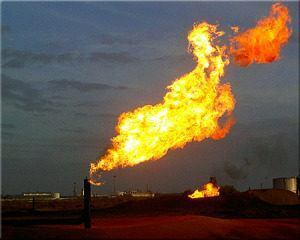 They have already made a deal which lasts 30 years to sell natural gas for $400 billion. On the other hand, a new terminal and new export from Australia have come on line in Gladstone in Queensland at the cost of $60 billion. They can start their first export today, right now going to Asia. 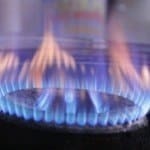 But, as the natural gas demand in Europe expands and the natural gas prices in Europe and Asia are starting to equalize, Australia’s gas can be also sent to Europe. In the end, what will happen? 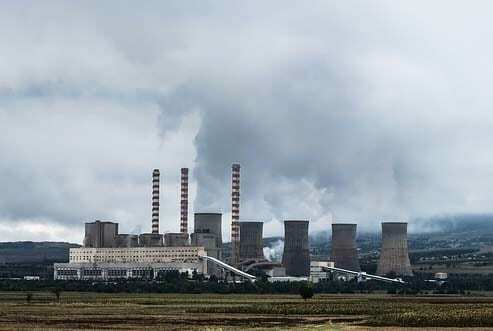 The natural gas prices around the world will start equalizing. Right now there is a huge unbalance. In the USA, the price is only about $4 / m BTU whereas in Asia, it is around $11 to $12 / m BTU and Europe about $9 / m BTU. As the new Supply Chains realign themselves, prices in the three nations should stabilize and equalize. At the same time, the US will become the major exporter of natural gas for the first time in its history and Europe will be the biggest importer of the US. It will bring North America and Europe closer together because of energy dependencies in the same way it will cement Russia and Asia’s relationship in the future. Today, Australia is aligned with Asia but they could eventually align with both Europe and Asia in the future. Besides the obvious geo-political readjustments based on energy market realignment what else will change as a result? The biggest implication is for the downstream petro-chemical and manufacturing businesses. A diverse range of industries such as plastics, polypropylene, resins, chemical fertilizers, industrial explosives, shipping, and a constellation of associated supply networks will have to totally re-think their global supply chain strategies in the coming 1-3 years simply because all the old assumptions in these industries will eventually be thrown out of the window. The supply of gas and availability of ships will again, drive the manufacturing footprints in these industries. Plants are not difficult to dismantle and move, though the overall costs can be a big factor in manufacturing footprint redesign. Vivek is the Global Supply Chain Strategist and Author who works globally with large and mid-size corporations to FIX their Business-to-Business Networks in order to their multiply profits. In that last 14 years he created several new breakthroughs in Supply Chain – including business transformations led by SCM 3.0. His more than 400 projects have spanned approximately 84 countries on five continents, with clients ranging from fortune 500 companies to innovative green technology companies. Get free extracts of his books and see why thousands of executives at the world’s leading corporations trust Global Supply Chain Group to build brilliant business-to-business network strategy. We are rapidly growing and hiring. Exceptional (world’s best) Outsourcing Experts, Logisticians, Strategists and Supply Chain should contact me directly. If you are a HR professional, recruitment or HR consultant – and you think your clients might benefit from these insights about business transformations – feel free to forward this blog series via email or linkedin. The nature of your industry is changing rapidly as a result of forces mentioned in this article. Your Statement Itself States about Natural gas supply chain, However, things are changing rapidly and the total supply chain on a global level for natural gas is realigning in front of our eyes right now. For meeting domestic demands of natural gas and LNG (liquefied natural gas) as cleaner energy compared to the other fossil fuels, JAPEX will strengthen its supply capacity of natural gas in Japan by various competitive sources combined with natural gas produced in Japan and LNG procured in overseas, and the expansion of its supply network. Our 800 kilometers network of the high-pressure gas pipeline is the core of our supply chain. We supply natural gas to our clients including local gas distributors, manufacturing plants, and power plants from our domestic gas fields and LNG vaporized gas from LNG terminals via the pipeline. By delivering natural gas through the pipeline network from both side of the Japan Sea and the Pacific Ocean, it will further improve its amount and stability including in case of emergency. Furthermore, we have been operating an LNG satellite system to supply LNG from the LNG terminal to our clients in its local regions by tank trucks, LNG tank containers via railways, and coastal vessels. the supply chain that affects around one-third of the natural gas price.